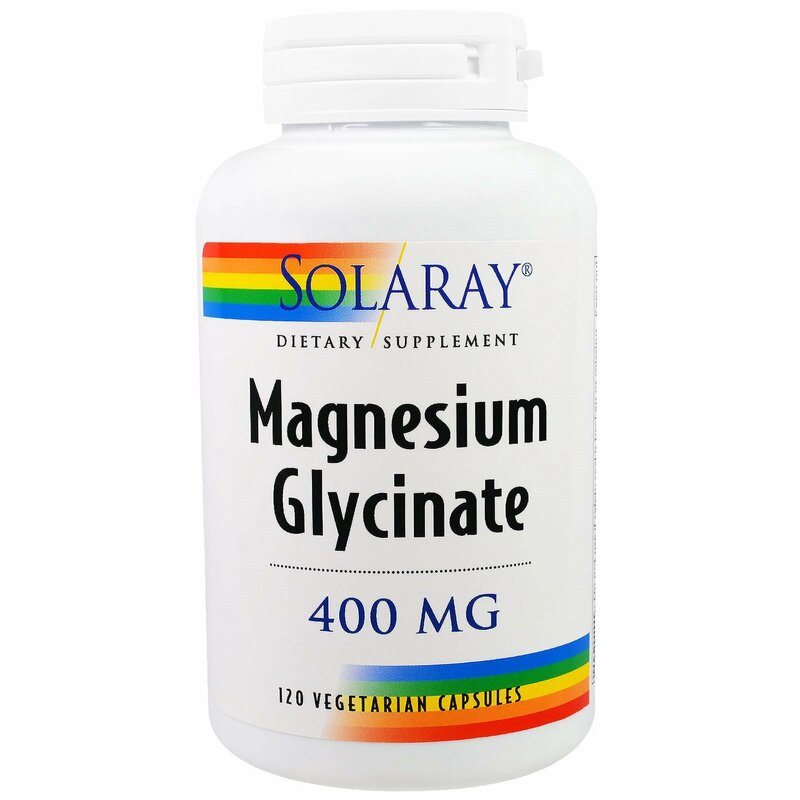 Discussion: Magnesium Glycinate is believed to offer superior availability of Magnesium to the body. 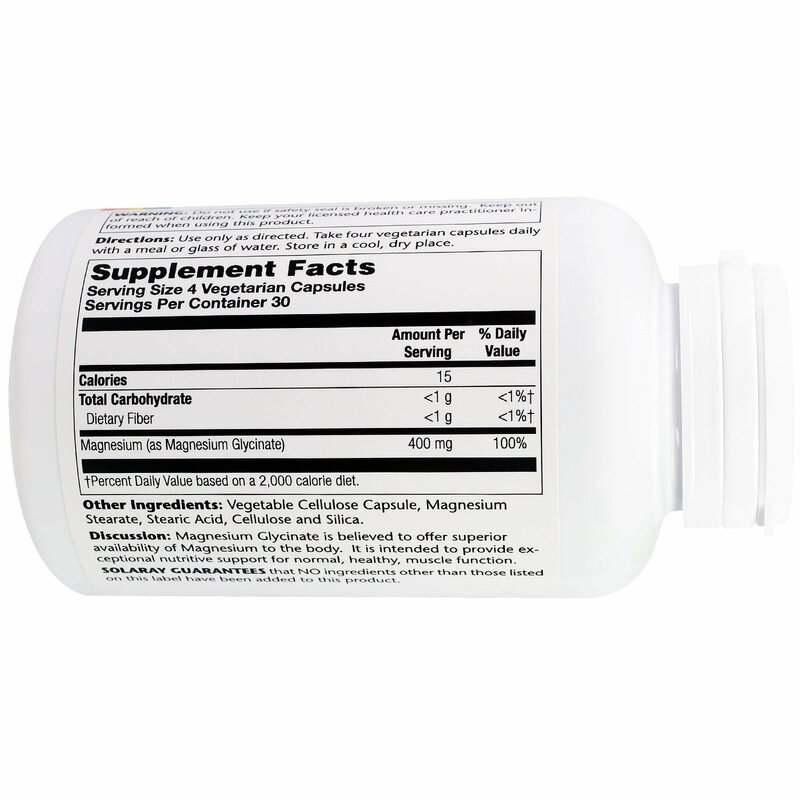 It is intended to provide exceptional nutritive support for normal, health, muscle function. Use only as directed. 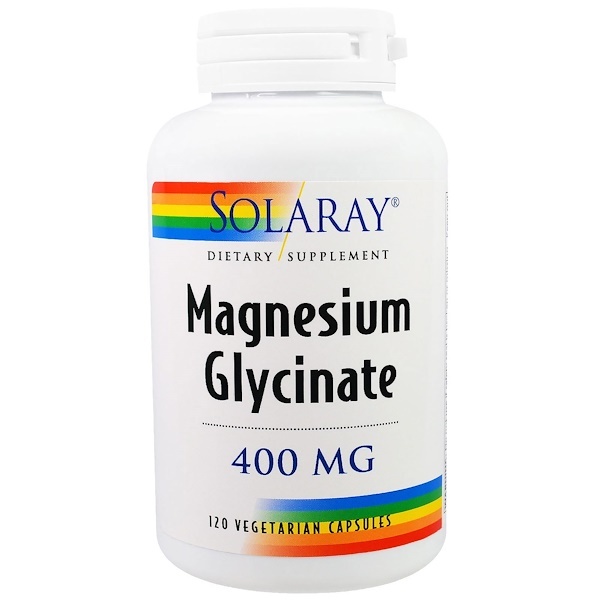 Take four vegetarian capsules daily with a meal or glass of water. Vegetable cellulose capsule, magnesium stearate, stearic acid, cellulose and silica. †Percent Daily Value based on a 2,000 calorie diet.